Admittedly, it didn’t set the international box office alight with scorchingly fast returns, but 2015’s The Man From U.N.C.L.E. is a movie with many fans around the world. Functioning almost entirely on a combination of the chemistry between the two leads – Henry Cavill and Armie Hammer – and some impressive action set-pieces, the 1960s action comedy is often referred to in interviews with its principal players. Now, one such conversation has yielded an answer that will bring hope to the countless cinema-goers hoping for a sequel. The Man From U.N.C.L.E. movie was based upon the popular television series of the same name, created by Sam Rolfe and Norman Felton, which was broadcast from 1964 to 1968. It starred Robert Vaughn as American Napoleon Solo, and Ian McCallum as Russian Illya Kuryakin. The two men worked for a secret international intelligence agency named the United Network Command for Law Enforcement (U.N.C.L.E. ), and engaged in espionage to keep the world safe from those with nefarious agendas. 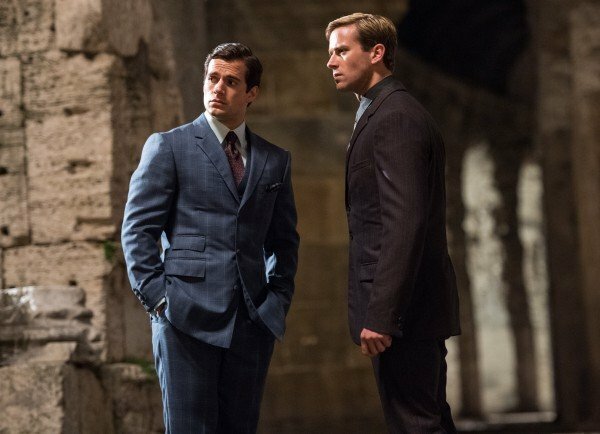 The 2015 film adaptation was directed by Guy Ritchie, with Henry Cavill in the role of Napoleon Solo, and Armie Hammer starring as Illya Kuryakin. The latter has been busy promoting his latest release – Free Fire – and, when asked about future Man From U.N.C.L.E plans, he related a story to /Film which indicates that a follow-up project is indeed in development. In addition to producing The Man From U.N.C.L.E., Lionel Wigram co-wrote the screenplay with director Guy Ritchie, Jeff Kleeman, and David C. Wilson. It’s his position as producer that lends the greatest credence to this sequel claim, however, since it means it comes from someone involved in the financing side of the potential project. Clearly, the fact that a screenplay is being written does not confirm that the sequel will indeed make it to the big screen at any point – but it certainly is encouraging news. The project may well be boosted by the fact that Alicia Vikander, who played a supporting role in the 2015 film, was depicted at the end of the story as having progressed to being an integral part of the team – and her profile as an actress has also progressed in the intervening two years. She won an Academy Award for The Danish Girl, and now heads up her own franchise hopeful, Tomb Raider, which is due for release in 2018. Will it be Alicia Vikander that ultimately wins the greenlight for a sequel to The Man From U.N.C.L.E.? That would indeed be ironic – but anything that delivers a second instalment of this tale to theatres is a welcome development.